Unlike the traditional wooden or contemporary look of the windows of our house, the Plantation shutters shell out a modern vibe, along with aesthetically pleasing outlook. The shields that are put in the windows of our house are meant to protect us from the annoying neighbours, the scorching sun rays, the stormy rains and other such disturbing elements which can get into our house through the windows. Plantation Shutters also add to the visual outlook of the house and that’s why shielding them with the prepare window dressing is a must for every household in the UK. When it comes to choosing the window shield design, the plantation shutters stand out because they have all the qualities that take to qualify as one of the best window dressing choices in the UK. These types of the shutter are actually a very stylish substitute as compared to the curtains or blinds that existed with our fathers and forefathers’ houses. It can be made according to your tastes of designs, budget and the necessary requirements of your house. The experts who possess experience in the plantation shutters a mould them into any design, colour or pattern that you choose to display on the windows of your house. They are mostly made of solid panels or louvers, which are kind of slats. Originally, dating back to when it first came into existence, the plantation shutters were made from the thin marble panels. They helped in temperature resistibility, light control and served the purpose of ventilation well in the houses back then. Today, mostly, the plantation shutters are made of hardwood and the medium density fire board, but still serves the same purpose as it served in its earlier years of coming into existence. The bespoke window shutters are made keeping in mind your choice of window dressings which also ensures the quality of the shutters. Therefore, the plantation shutters have it in itself what takes it to make your house look praiseworthy and attractive. With the evolution of taste amongst people in almost everything, the one thing that hasn’t changed since ages are the shutter dressing for the windows in the house of office. Though it has become more modern from the age-old marble furnaces to the wooden crafts, the idea behind the improvisation of the shutters remains the same. With lighter finishing and a fashionable statement, the plantation shutters actually carry a subtle look which befits the interiors of all categories. One more reason why people in the UK prefers the plantation shutters over the other window dressing choices is that it guards the heat but do not block the pathway of the cold breeze coming inside the room, unlike the other forms. The Louvre of the shutters can be turned and twisted according to the needs of the owners of the houses or keeping in mind the needs of the room; whether you want to keep them broad or lighter depends totally on your choice of the window dressing. 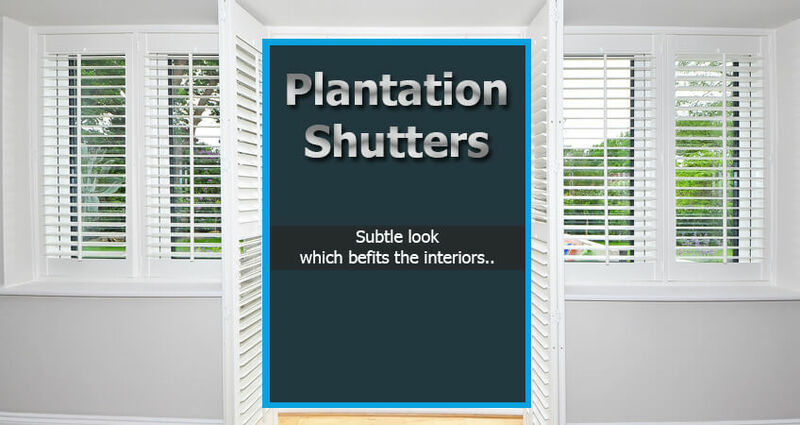 One more thing that the plantation shutters provide are complete privacy from outside; it does not let people peek into the room even if they are open and that’s is a truly unique quale. The plantation shutters are able to transform your home and office in a way that they look great visually and the ones who visit you are all praises for your choice of the window dressing. The earlier choices of windows dressing were the net curtains, the Wooden Shutters, blinds, and other such traditional stuff but with the evolution in choices and the modernized mentalities of people these days, the current obsession in the window shutter category is the plantation shutter. The exhilarating designs that come along with it and the safeguard properties it provides the owner of the house or office is enough to go bunker for them. The combination of modernization and tradition is rare to find and thus the plantation shutters qualify for one of its kind in the given category. So, the next time you think of upgrading the outlook of your house or change the way your window looks like, don’t settle for anything lesser than the plantation shutters- they possess all the qualities that you would love to get for your window dressing!